He wanted to become a hero. 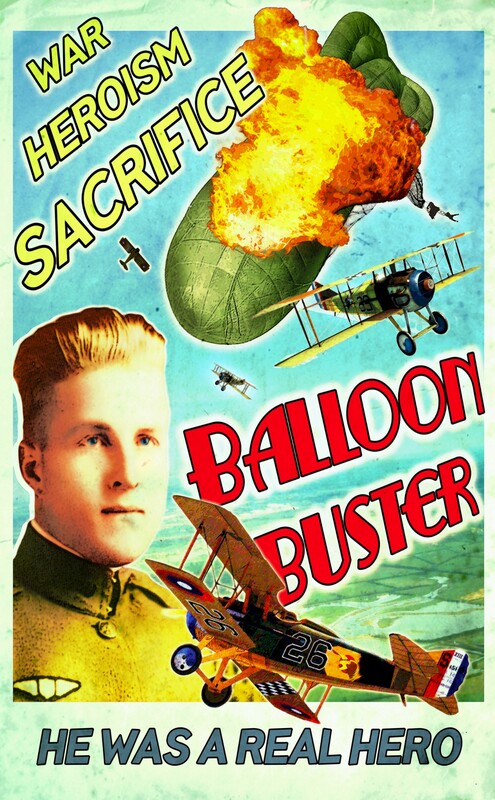 To do that, he had to becomes the Ace of Aces, taking down the hated German observation balloons… and in the process he learns what being a hero truly means. The Hero is a war drama centered around Matt Green, a World War I fighter pilot, who says goodbye to his fiancé, Evelyn, and goes off to war, telling her he will come back a hero or else. He incurs the anger of his commanding officer when he drops out of formation and comes back with tales of victories but no confirmations. The only one who truly understands him is his new wingman, Joe Wagner, a German-American accused of spying. 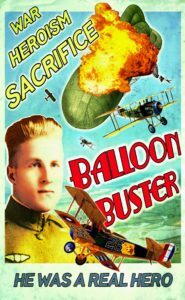 Together, the two join forces to take down enemy balloons, which are heavily guarded, dangerous targets defended by artillery and enemy planes. His comrades give him a party and he goes to Paris on leave to rest and recuperate. His victory has made international headlines and his picture in every newspaper. Although grieving for Joe, Matt realizes he can’t stop now. He must complete his mission and help teach the other pilots his skills. After he loses another wingman, it is over, he insists on flying alone. He sets out on the lone mission that will end his life, but make his name known for generations to come, while back at home, his fiancé gives birth to twins – children he will never see.